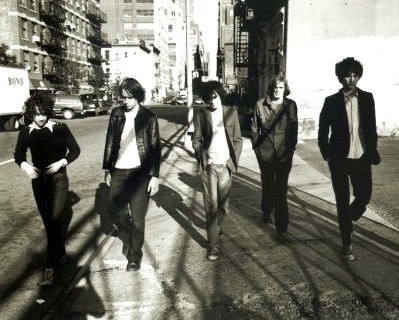 The Strokes were catapulted to worldwide rock and roll stardom back in the early 2000s and they have maintained a large and very devoted fan base ever since. With Albert Hammond Jr. and Nick Valensi’s angular riffs, Nikolai Fraiture’s expert bass playing, Fabrizio Moretti’s frantic drums and the captivating vocals of Julian Casablancas, The Strokes’ works have met with much critical acclaim. But today’s post will not be reminiscing about the band’s career or introducing their latest release. Let’s just go back in time a few years and listen to the brilliant demo version of “You Only Live Once”. Stripped and raw, this version sticks to the basics and enhances the emotion that’s always contained in Casablancas’ voice. This demo was included in Sofia Coppola’s new feature film, Somewhere, but you can also find the final version on the album First Impressions of Earth.